This month we’re all going to Stout, in West Hollywood. Well known for their Burgers, and having a good beer lineup to go with the food, here’s a place for you Mid Town people to go. Address: 1544 North Cahuenga Blvd (near Selma). Entries for the world’s largest homebrew competition are due by this Friday, March 26th: the American Homebrewers Association’s National Homebrew Competition. Entries for this event must be registered on-line at http://www.brewingcompetition.com/NHC/nhc.php . You only need to submit one bottle per entry for this round, but if you beer advances to the finals, you need to have three more, which will be due in early June. Cost for each entry is $9.00 for AHA members or $14.00 for non-members, and must be paid with the on-line site. Make sure you are registering for the Southwest region. Bring your bottles to the Culver City shop by this Friday, March 26th and we’ll transport them down to San Diego for you. Technically, you can register your beers up through April 1st at 5:00 PM Pacific time, but you’ll be on your own to ship them down the San Diego. 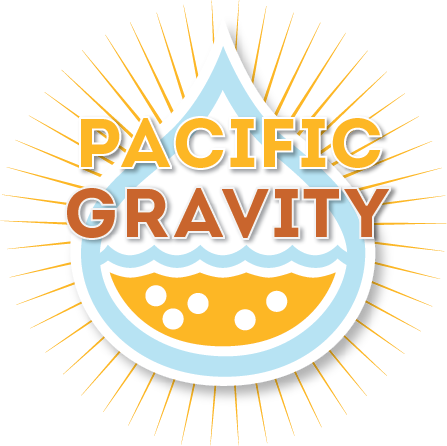 It’s March and that means its time for our annual Pacific Gravity membership dues collection. All club members need to pay their dues to keep their membership active until March 2011. Dues are $30 for the year and are prorated for members who joined the club within the last year. Club Treasurer, Craig Corley will be collecting dues at our March 18th club meeting. Can’t make the meeting, there are a number of other ways you can pay your dues. You can go old school and send Pacific Gravity a check to PO Box 2451, Culver City CA 90231. You can drop off your dues the next time you’re shopping at Culver City Home Brewing Supply. And for the ultimate in convenience, you can renew your dues online via Paypal on the club website ( http://pacificgravity.beerzine.com/renew-your-membership/ ), just click on Renew. All current club members should have gotten a renewal notice via email detailing their dues renewal amount and member information on file. This is a good opportunity to update our membership records, so please let Craig know of any changes to your member information (address, email, phone, etc) or include changes with your check/renewal form. Keep in mind that your dues are the primary way we fund such club activities as club parties, monthly meetings, club brews and much more. Your paid membership also ensures that you’ll continue to receive the many club benefits available like discounts on your purchases at Culver City Home Brewing Supply as well as access to the club brewing system, various brewing activities and information. Have questions about your dues or how much you owe? Check with Craig at the March club meeting or by email at [email protected]. http://pacificgravity.com/wp-content/uploads/2015/01/pg_logo.png 0 0 Craig Corley http://pacificgravity.com/wp-content/uploads/2015/01/pg_logo.png Craig Corley2010-03-15 02:25:572010-03-15 02:25:57Do the Dues! If it’s March it MUST be Irish Times. As usual, PG will begin its month long St. Patrick’s Day at First Friday, 3/5. For those of you who have never been there, Irish Times is one of the premier Irish bars on the West Side. It has long been known for corectly pouring a Guiness. It takes a 2 full minutes, and the wait is well worth the time. The food menu is moderately priced, with the usual burgers and fish & chips. The bar is conveniently located at 3267 Motor Ave, just North of the corner of National and Motor. Parking is in the street. Official start time is 7, but if you want faster bar and food service get there a little earlier. How Do I Modify My Tustin Monster Brew? I hope you are all planning to join us at Tustin Brewing’s Second Annual Monster Brew, on February 27th, hosted by our very own Jon Porter. We’ll be brewing up a batch of medium-gravity amber wort. Where it goes from there is up to you! We’re hoping to have as many variations on the theme as possible for upcoming events such as the Southern California Homebrew Fest, club meetings and other beer venues. The recipe for the wort is shown below. This year, we are going with a simple Blond Ale recipe. Like last year, though, it is deliberately formulated so that you can use your own creativity as broadly as possible. The wort will have a starting gravity of 1.050, 30 IBUs of bitterness and a color of about 5 SRM. A lot of different beers can be made out of this. With a bit of tweaking, you can make just about anything. Here are some ideas on what to do. 1) Pick a yeast. The wort comes unpitched, so at a minimum, you have to get some yeast for brewing day. If you pitch with the Wyeast 1056 Amierican Ale, or White Labs 001 California Ale yeast, you’ll have a pretty good middle-of-the-road Blonde Ale. But don’t stop there. If you have ever though about trying a new yeast, this is a great time to try it. Just make sure you are set up to use it. Don’t pick a lager yeast if you don’t have refrigeration for your fermenter. Also, for best results, make up a starter the day before brew day. 2) Make it stronger. Styles such as IPA, Barleywine, Belgian Tripel can be made by adding some malt extract or Belgian candi sugar. Just boil up a small amount of water and extract and boil for about 10 to 15 minutes, to make sure it is sterile. Cool, and add to your fermenter. 3) Make it darker. Pick a dark grain like roast barley, Special B, chocolate malt or Carafa. Steep in hot water, then strain out the grains and boil the liquid. Voila, instant dark beer! Last year, my Schwarzbier come out terrific. Another variant is to add some melanoidin malt to make some of the malty German lagers. 4) Dry hop it. The recipe this year has no finishing hops, though it does have a healthy dose of American flavoring hops. You can go American for American Pale or Amber Ale, British hops for ESB, or you can go with Continental Noble hops for something like Saison. 5) Boost the bitterness or hop flavor. You’ll have to do this if you want to get to IPA range, and I also recommend it for ESB, Robust Porter, Altbier and several other styles. Boil up a small amount of water and add hops to make a hop tea. Boil for at least half an hour with high alpha hops to raise the IBU level. Boil for 10 to 15 minutes with your favorite hop variety to boost the flavor. Note that this will boost the IBU level by a smaller amount. 6) Do combinations of the above. Suppose you want to make an American Barleywine out of the wort. Boil up some malt extract, add some hops to boost the bitterness and flavor during the boil. Cool and add to the fermentor. Then, dry hop in secondary. You’ll want to pitch your yeast as soon as you get your wort home. For most of the variations, you should plan of adjusting the wort at the same time, though you could wait a day or so. Make sure you get it going before primary fermentation is done, since the yeast will need to work on the additional materials. So, start whipping up your recipe now. Hope to see you on the 27th. Got a question for the Brewmaster? Drop me a line at [email protected]. Also, an archive of prior questions can be found at the Picobrewery website at http://www.picobrewery.com. http://pacificgravity.com/wp-content/uploads/2015/01/pg_logo.png 0 0 Tad Johnston http://pacificgravity.com/wp-content/uploads/2015/01/pg_logo.png Tad Johnston2010-02-04 23:28:552010-02-04 23:28:55How Do I Modify My Tustin Monster Brew? There have been several pricing related updates. For full details see the previous posts. You can now purchase either 5 or 10 gallons using the buttons below. (10 max per member). If you already paid for 5 gallons and would like 5 more, just use the 5 gallon button once more. On Feb. 27, 2010 the Tustin Brewing Company and its Brewmaster, PG’s Jon Porter, will be hosting their 2nd professional style Monster Brew. PG Brewmaster, Carl Townsend, and Jon have developed a new base wort for this event, this time in the style of an American Pale Ale. Each person will pitch his yeast of choice, add adjuncts to the wort, dry hop in secondary, or do nothing special to it. For some great suggestions see Carl’s article in the PG website. Included will be the recipe in a Excel spreadsheet format. The cost will be $27 for each 5 gallons of wort, excluding the cost of yeast (bring it to the brewery, or pitch it at home), and any additional ingredients you wish to add. The reason for additional cost is to cover Tustin Brewing’s additional costs for putting on the event. Payment for the event may also be made at the Feb. 18 PG Meeting, or be left at Culver City Homebrew Supply. Be sure to include your name, tel. number, and E-mail address. You MUST be present at the event to get your 5-10 gallons of wort. No friends will be allowed to pick up wort for you. If you have paid in advance, but find you cannot attend, 24 hour notice must be given in order to obtain a refund. On event day, all monies collected will be given to Tustin Brewing. Such notice may be sent to Pacific Gravity Treasurer, Craig Corley, or Michael Steinberg, Activities Director. Some of us may want to purchase more than 5-10 gallons. Initially, ONLY 5-10 gallons may be purchased. However, if there is wort left over at the end we will hold a lottery to determine who may get an additional 5 gallon allotment. Bring an extra fermenter if you are interested. You must remember to bring a sanitized fermenter for each 5 gallons you buy. Fermenters MUST be either plastic or stainless steel. Absolutely no glass fermenters will be allowed in the brewery due to the danger of breakage on the tile floor. You may bring small glass vessels with yeast or other additions, however. We will have extra plastic fermenters and airlocks available for on-site purchase. If you think you may need one, please contact Activities Director so that we can get a count. The event will be starting EARLY, at 6AM. If that is too early, you may show up by 12 noon and still get your pre-purchased wort. Of course, you’ll not get to take part in the actual brewing. Projected ending time will be between 1-2 PM. Other clubs will be invited to participate, including the Long Beach Home Brewers, but the organizers hope that Pacific Gravity members make up the bulk of the brewers. Tustin Brewing will have coffee, bagels, pastries, etc. for breakfast, and we will buy our own lunches towards the end of the brewing session. In addition, there is a Trader Joe’s nearby, and an early opening restaurant where you can get breakfast if you wish. Tustin Brewing’s kitchen opens for lunch at 11am. In addition Jon will be supplying tasting samples of some of his fine brews during the morning. Cut off time for free pours will be 11am. After that, it will be available for purchase. We will be carpooling down to Tustin. The trip is about 45 minutes at the early hour we’ll be traveling. If there is much return traffic, those who pitch yeast at Tustin, may have a finished beer by the time they get home.